Couscous has long been considered a healthier alternative to pasta. As a type of pasta itself, it is made of small granules of semolina flour, but goes through a long process of preparation and is traditional in North African cuisine. It can also be made from whole-wheat flour, which slightly increases the fibre and boosts nutritional value. As a culinary ingredient, it works wonderfully as a substitution for rice or quinoa, and is very versatile as it can be served in salads, soups, side dishes and even main courses. Aside from its nutritional value, another of couscous’ benefits is that its preparation requires little more than the addition of hot water and fluffing with a fork. It easily takes on the flavour of whatever you cook it with and there are multiple ways to serve couscous. Couscous is mainly available in its natural form only in the Mediterranean region and North African countries. It is commonly used in dishes the same way that rice or pasta are, to complement meat, vegetables, and sauce. It can also be added to salads for an interesting take on a classic, although traditionally, it is associated with stew-like dishes. Apart from being versatile and easy to prepare, couscous has a number of other benefits, starting from its nutritional qualities. A 1 cup serving of couscous provides only 176 calories, which is 8% of a standard 2,000 calorie diet. This is far less than the calories that a cup of rice or quinoa holds, which provide 205 and 254 calories per cup, respectively. A 1 cup of couscous also adds 6g of protein to your day, which is 12% of the daily intake that the Food and Drug Administration recommends for an adult. Compare to other grains that typically provide a lower levels of this macro-nutrient, this is good news for physically active people, who need it for muscle building after exercise, and sustaining energy. All in all, couscous is a perfect fit for today’s health–conscious eaters. The majority of calories in whole-wheat couscous consist of carbohydrates with a total of 38g per 1 cup serving. The general recommendations by the Institute of Medicine are for the consumption of 130g of carbohydrates per day for optimal energy levels. Whole-grain couscous also contains more fat than white flour couscous, although the totals are still quite small and better-looking than pasta. A 1-cup serving of the whole wheat variety contains only 1g. Including couscous in your diet provides several health benefits. A 1 cup serving of couscous provides 43 mcg of selenium, or 61% of the 70 mcg daily value as well as 91mg of potassium, or 39% of the 3,500 mg of the FDA recommended daily intake. Both minerals are essential to the metabolism of your body and regulate important functions that keep you healthy, balanced and feeling well. Couscous has multiple health benefits, which we’ll go into further detail below. Selenium is one of the most important components of couscous. This element is an integral part of many of the health benefits that are explained here. As a trace mineral that is very difficult to find in food sources, selenium is still essential to the human body. A single serving of couscous has more than 60% of the daily suggested intake of selenium, which means it is one of the richest sources of selenium. Its powerful antioxidant functions help the blood vessels reduce the buildup of plaque and dangerous LDL cholesterol on artery and vein walls. Regularly including couscous in your diet reduces the risk of developing dangerous and life-threatening conditions like atherosclerosis, heart attacks, and strokes. As mentioned previously, couscous is a good source of potassium, which is another essential nutrient. Potassium plays a part in reducing the contraction of blood vessels, thereby reducing blood pressure and benefiting patients that are at high risk for various cardiovascular diseases. Perhaps the best known-quality of couscous is its low calorie count, which makes it an ideal dietary food. People on diets are often looking for low-calorie substitutes to the food they love, and grains are often turned to because they are filling, relatively easy to cook, and low in calories. Couscous is actually superior to rice and quinoa when it comes to grains as it has less than 200 calories in each cup, which is less than 10% of the daily calorie intake suggested for adults. This makes it the perfect alternative for people trying to lose weight mainly through dieting. At the same time, the extra protein that couscous provides also makes it a powerful boost for muscle development. Couscous is also very low in sodium, cholesterol, and saturated fat, all of which work against weight loss attempts. The rich fibre content of couscous acts as a deterrent to the secretion of ghrelin, which is the hormone responsible for the feelings of hunger. A reduction in that hormone means reducing the chances of overeating, which is a common problem for people who live stressful, fast-paced lives and attempting to lose weight. Not a lot of people know that couscous has the ability to boost the immune system and has a proven quality as an antibacterial and antiviral agent. It has been shown as a solid deterrent against the herpes virus, cancer cells, cold sores and shingles. Making couscous part of your diet encourages healthy eating as well as healthy living in general. 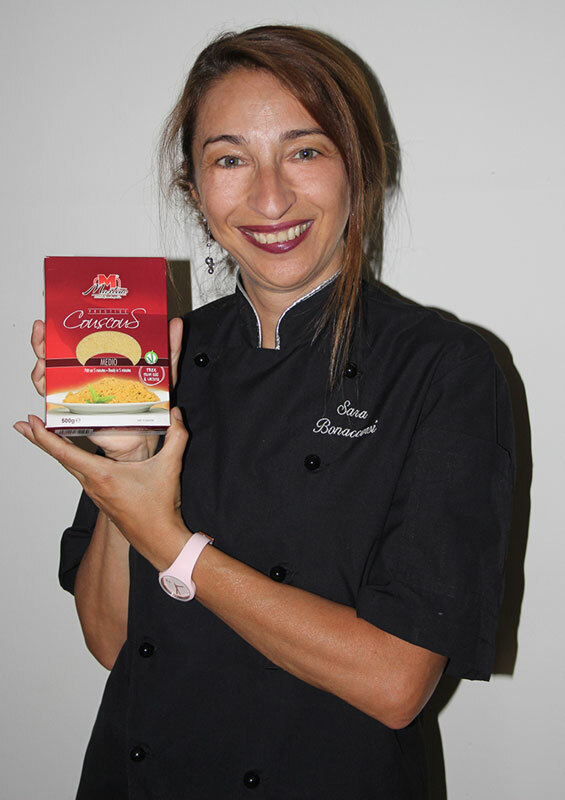 Turning to low calorie substitutes of your favourite pasta and rice without sacrificing flavour may have seemed impossible in the past, but now there is a way to make that next meal a delicious, better-for-you hit. Couscous is not only tasty and easy to prepare, but it also offers an abundance of nutrients. 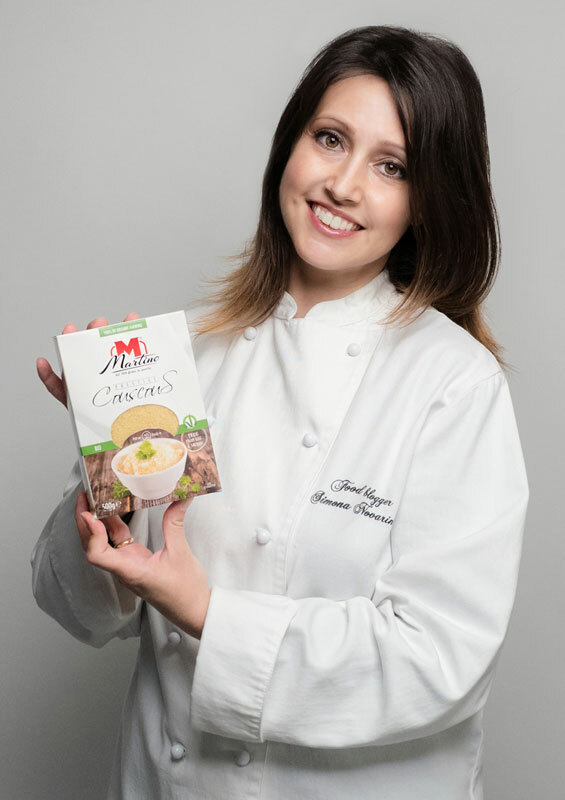 This is especially true for couscous that is certified and of high quality with long traditions in how it is milled as with the family-owned Martino company. Because the key to consuming healthy food choices is the way in which the food is prepared, it is important to be able to trace your food back to its humble beginnings. Add one of the couscous products of Martino to your diet today and see if you notice a difference in your weight and health.